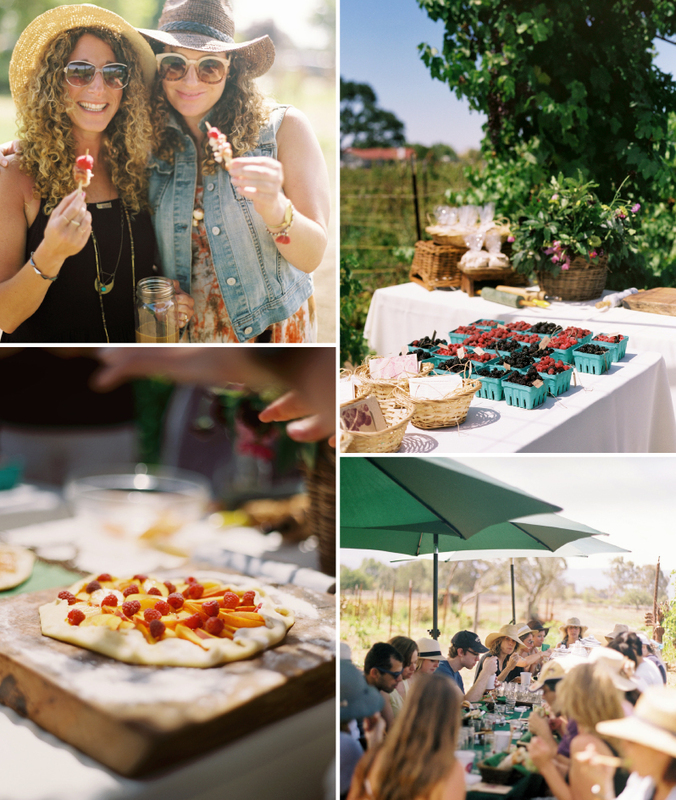 Summerset Farm is a hidden gem nestled in the beautiful Santa Inez Valley... An organic farm full of fresh produce, flowers, gourds and oceans of berry vines. The staff is so kind they feel like old friends. After bringing Kinfolk magazines’ community gatherings to Santa Barbara all last year, it was the perfect home to kick-off our second season of events. It’s a real labor of love creating our very own series as we work, with an eye toward our first cookbook! Four seasons of events are planned, and for summer we chose an old fashioned day on the farm. Filled with berry picking, a gourmet picnic and workshop on the art of creating homemade sweet and savory galettes, taught by chef Ashley Mulligan Schutz. Straw hats in hand, we wandered through the farm filling out baskets and sampling some of the sweetest berries you could imagine right from the vine. Ate from individual picnic baskets filled with organic and freshly made delights, drank copious amounts of lemon verbena iced tea and sweet New Orleans style chicory iced coffees. 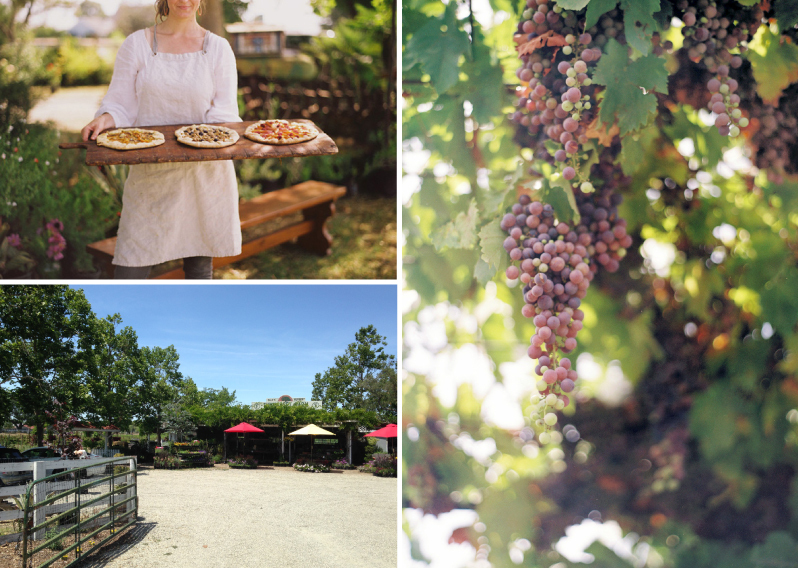 But the day was not complete until we gathered under a canopy of grape vines for our galette tutorial by Ashley. There we learned how to make raspberry and peach amaretti galettes, followed by samples both sweet and savory. We said our goodbyes to guests and sent them home with a collection of gifts... recipes, amaretti crumble and heaping baskets of freshly picked berries to create galettes on their own at home. Such a lovely escape from the fast pace of ordinary life into a dreamy day filled with gorgeous vistas, food made with love, and a collection of wonderful friends.